The stories in this book evoke a tracery of evil rarely rivaled in horror writing. 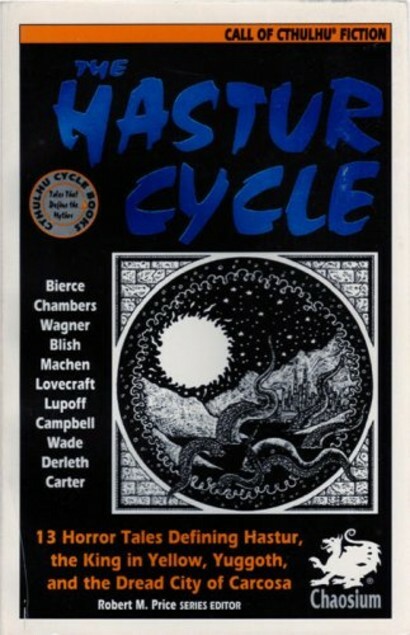 They represent the whole evolving trajectory of such notions as Hastur, the King in Yellow, Carcosa, the Yellow Sign, the Black Stone, Yuggoth, and the Lake of Hali. A succession of writers from Ambrose Bierce to Ramsey Campbell and Karl Edward Wagner have explored and embellished these concepts so that the sum of the tales has become an evocative tapestry of hypnotic dread and terror, a mythology distinct from yet overlapping the Cthulhu Mythos. Here for the first time is a comprehensive collection of all the relevant tales.